Air India airlines enable travelers to fly to and from destinations all over the world. 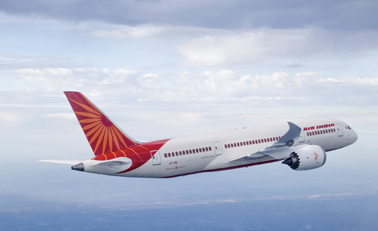 Air India connects passengers to many international destinations in Asia, Australia, Africa, Europe, North America and the Middle East. Flights to: Ahmedabad, Delhi, Mumbai, Bangkok, Amritsar, Kolkata, Goa, Vijayawada, Hyderabad, Chennai. 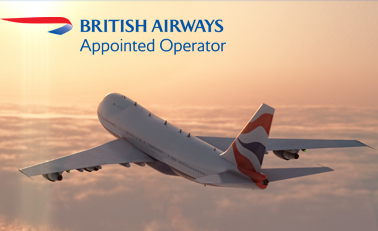 British Airways is the flag carrier of the United Kingdom. This airline serves more than 160 destinations around the globe. Enjoy our truly flat beds in Club World business class. Experience a private more spacious premium economy cabin. Flights to: Dubai, Hong Kong, San Francisco, Miami, Mumbai, Nairobi, Toronto, Los Angeles, New York, St. Lucia. If you value privacy and personalised service above all else, you’ll love the Emirates First Class Private Suites. Each suite comes fully equipped with a sliding door, adjustable ambient lighting, and its own vanity table, mirror and wardrobe. Flights to: Dubai, Dar es Salaam, Ahmedabad, Mumbai, Nairobi, Bangkok, Delhi, Mauritius, Melbourne, Calcutta. 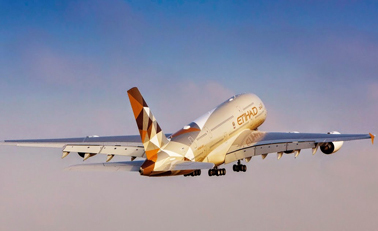 Experience Etihad’s Diamond First Class offers a luxurious fully flat bed, with a spacious 1-2-1 layout and you’ll enjoy Etihad’s famous Inspired Service. Etihad Business Class lounge in Abu Dhabi is a world of comfort and convenience - with its well-appointed interiors and warm service. Flights to: Abu Dhabi, Mumbai, Delhi, Sydney, Ahmedabad, Hyderabad, Bangkok, Dar es Salaam, Bangalore, Chennai. 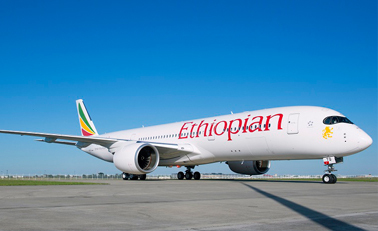 Feel special with Ethiopian Airlines 'cloud nine' services. Meals include a number of courses that are designed to stimulate and satisfy your appetite. Economy class seats are comfortable with the latest In Flight Entertainment. Every passenger enjoys Ethiopian hospitality and individual attention that makes his/her flight memorable. 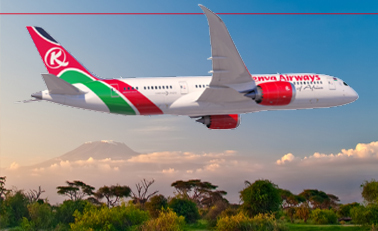 Flights to: Addis Ababa, Nairobi, Mombasa, Dar-es-Salaam, Kilimanjaro, Zanzibar, Entebbe, Harare, Johannesburg, Cape Town, Lusaka, Kigali, Lilongwe, Blantyre. Imagine sleeping on a fully flat bed in your own private bedroom, 40,000 feet above the ocean it’s not a dream; it’s Jet’s luxurious new First Class offering unrivalled privacy and more personal space. Step into your own private suite. With dual sliding doors, night sky mood lighting system, and a host of other facilities, Jet’s First Class offer more peace and comfort than you can imagine. Flight to: Mumbai, Delhi, Rajkot, Ahmedabad, Baroda, Bhuj, Goa, Amritsar, Chandigarh, Yangon. Kenya Airways Flat Bed, enjoy luxury relax and watch multi-channel in-flight entertainment system . There are laptop power points on the seats to enable charge laptops and quietly catch up with work. Flat -bed with superb pillows and blankets that make to enable catch up on sleep and arrive totally refreshed. Flight to: Mombasa, Nairobi, Dar es Salaam, Kilimanjaro, Entebbe, Malindi, Lusaka, Kigali, Kinshasa, Harare. Qatar Airways redefines air travel from the gound up. As a First Class passenger connecting Doha, you will be chauffeured personally in a premium BMW 7-Series right to the aircraft for boarding. Flights to: Najaf, Doha, Goa, Tehran, Dar es Salaam, Perth, Lahore, Nairobi, Dubai, Sydney, Amristar. 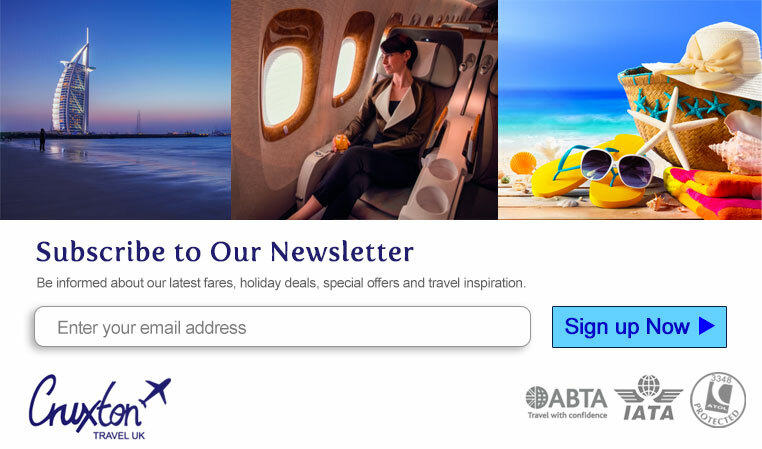 Flying Virgin Atlantic is about helping your customers grab every opportunity. It’s about helping them turn their dreams into reality. And we take them all over the world to do just that. America, Africa, Asia and the Middle East are all on our map. Of course, great travel experiences are about more than the destination. We offer a warm, personal welcome, innovative products and real comfort too. 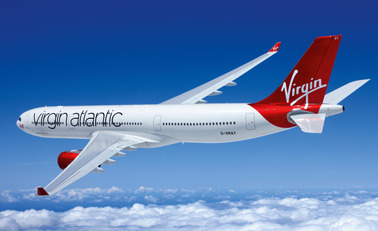 So whether your customers are off to dive feet first into the Caribbean or swallow the Big Apple whole, now’s the time book Virgin Atlantic so they can ‘let it fly’. 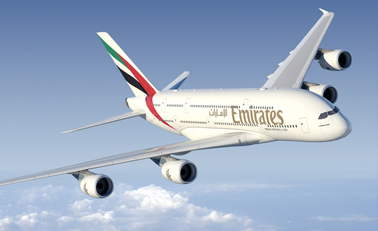 Flights to: Delhi, Dubai, Hong Kong, Shanghai, Anitgua, New York, Orlando, Los Angeles, Las Vegas, Newark.